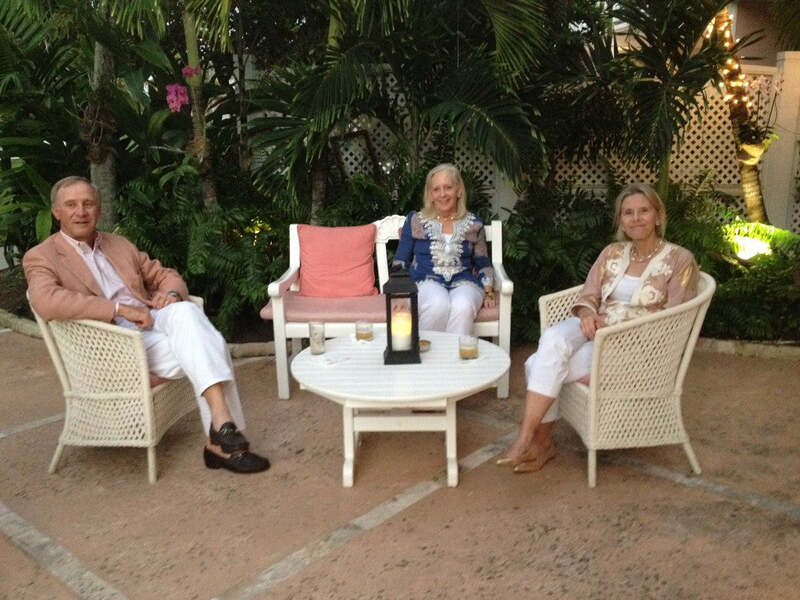 We were honored to be included in the Lyford Cay Designer Weekend organized and beautifully (and miraculously) pulled off by our great friend, Amanda Lindroth. 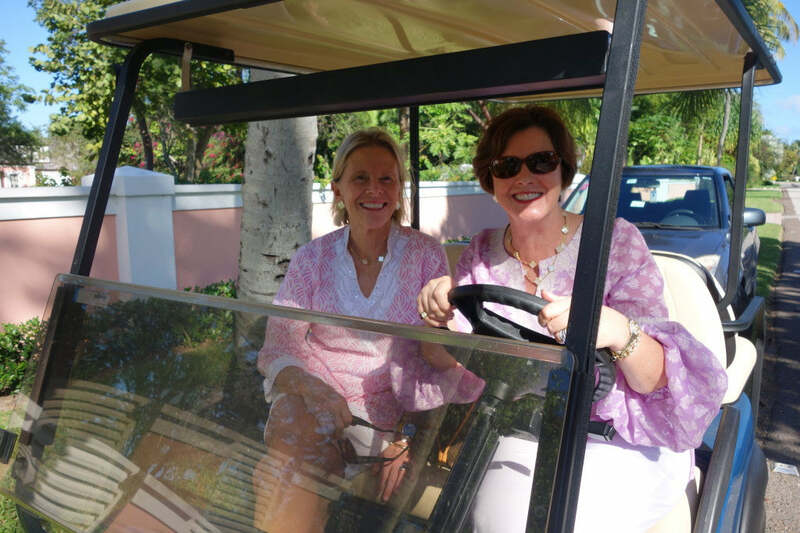 We have long recognized that Lyford is one of the most beautiful communities on the planet, so the invitation to walk through some of the most gorgeous homes in the Bahamas was one we could not resist. 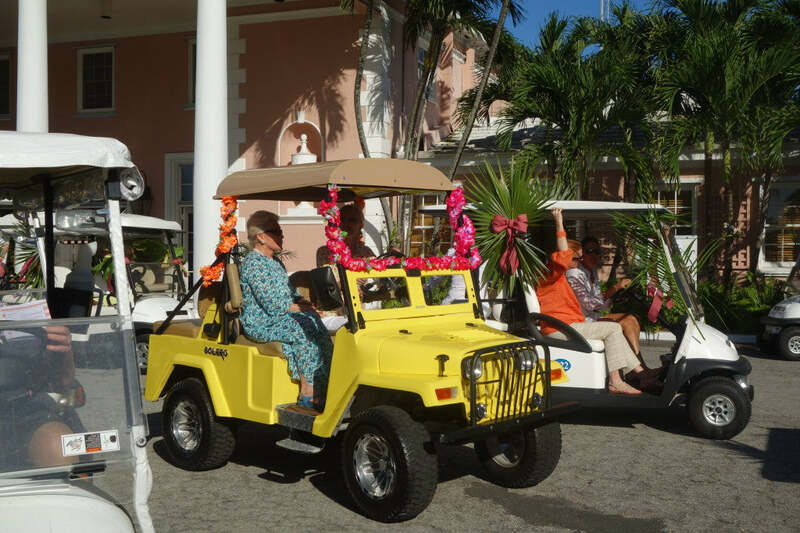 This was a very PRIVATE tour - no photographs allowed, no party crashers, just 175, personally invited, well behaved guests charging around in palm frond adorned golf carts. There were several different groups being led by some of our favorite people. When your group was summoned, the road rally began. We tried hard to keep up and not get distracted, but there was so much to take in! 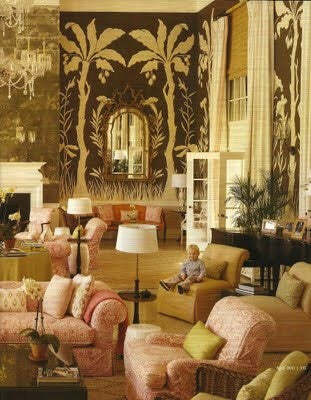 Each home was more beautiful than the next and each had its own unique style; A working stable, complete with horses; an enchanted villa; a groovy 60's ranch, and everything in between. 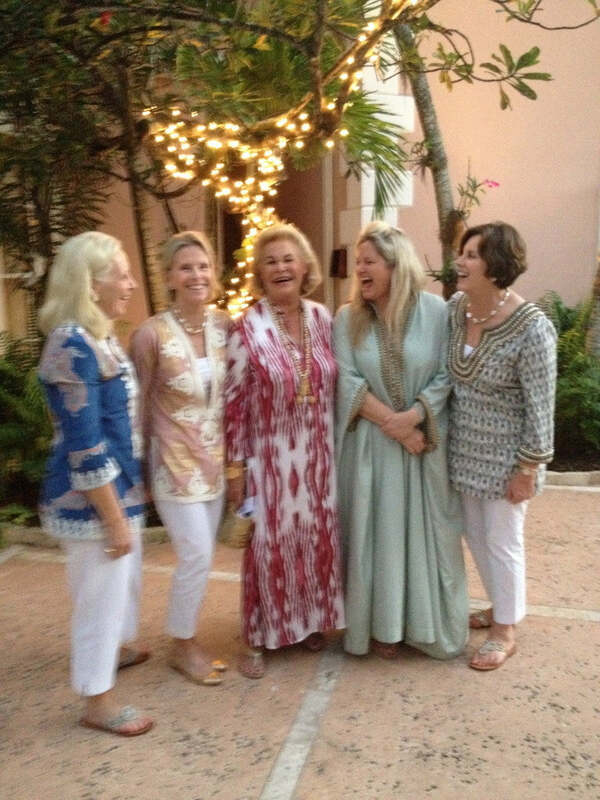 Island chic and old school glamour prevailed and we loved it all. The evenings were filled with plenty of cocktails and lectures from some of the design industry's finest. Nina Campbell, British Interior Designer and the keynote speaker, entertained with tales and slides of her latest projects all over the world - from deep inside China to Park Avenue. India Hicks introduced photographer, Bruce Weber, and his short film of friend Elizabeth Taylor. Saturday evening featured an all-star designer panel moderated by Newell Turner that featured Mary McDonald, Miles Redd, and David Kleinberg. Jennifer Boles, The Peak of Chic, wrapped it all up before we went into a "Elsie de Wolfe" dinner created by Celebrity chef, Alex Hitz. The menu: Tomato Aspic, Chicken a la King, and Pineapple upside down cake - a delicious blast from the past! It was a wonderful event, and rumored to be the last. We hope not ! We loved every second - and a perfect excuse to travel to Nassau in January. 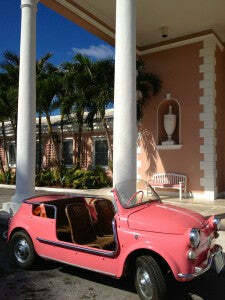 Everywhere you looked, PINK was the color of choice. Lucky us - we packed accordingly! Jealous?